2) The material used is 100 % Carbon Prepreg produced with hot melt impregnation system, using a micro-toughened tetra-functional epoxy resin. 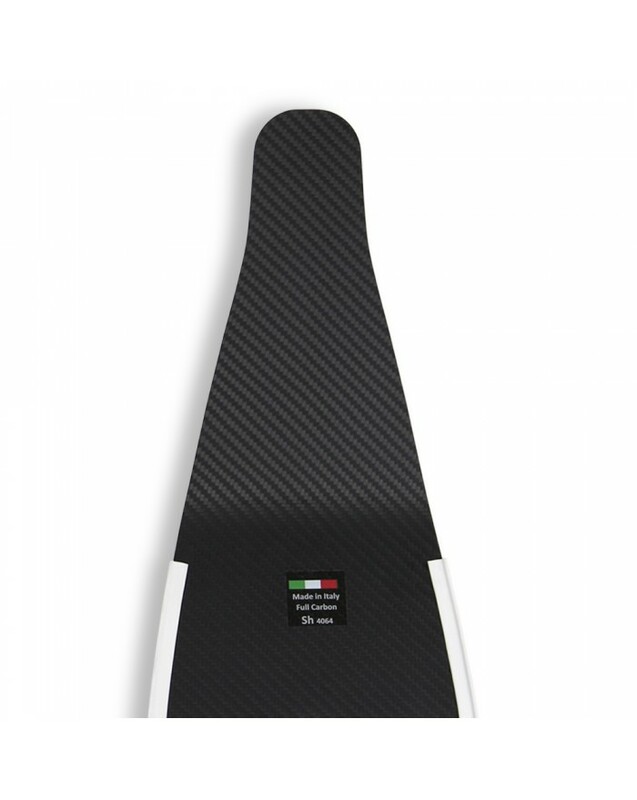 3) 3D-Tech: Proprietary Technology, of CETMA COMPOSITES exclusive know-how, with high pressure, high temperature and high degree of applied vacuum, which lead to a component with 0% void level, without defects, with a uniform matrix/reinforcement ratio across the whole blade. 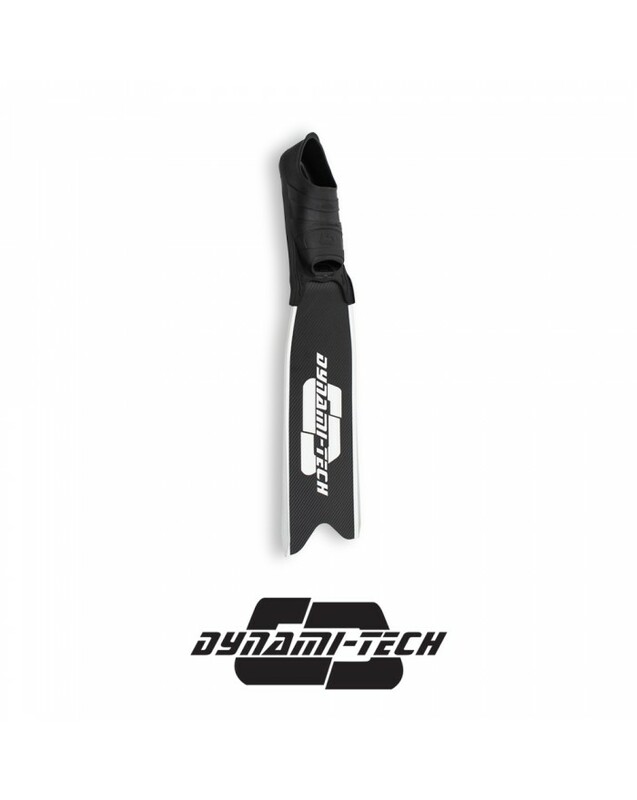 4) FEM Design: DYNAMI-TECH blades are optimized trough an accurate Design by means of Finite Element Softwares (FEM). The Design trough FEM software allows an optimized distribution of the stiffness, with the aim to obtain a deformation ensuring the maximum hydrodynamic efficiency. 5) BUMP SYSTEM: It is the innovative power transmission system which start to transfer power to carbon fibers directly from the heel, thanks to carbon differential stiffness distribution under the foot. This is possible thanks to the innovative S-WiNG footpocket. 6) X-Accleration: Extreme acceleration design. 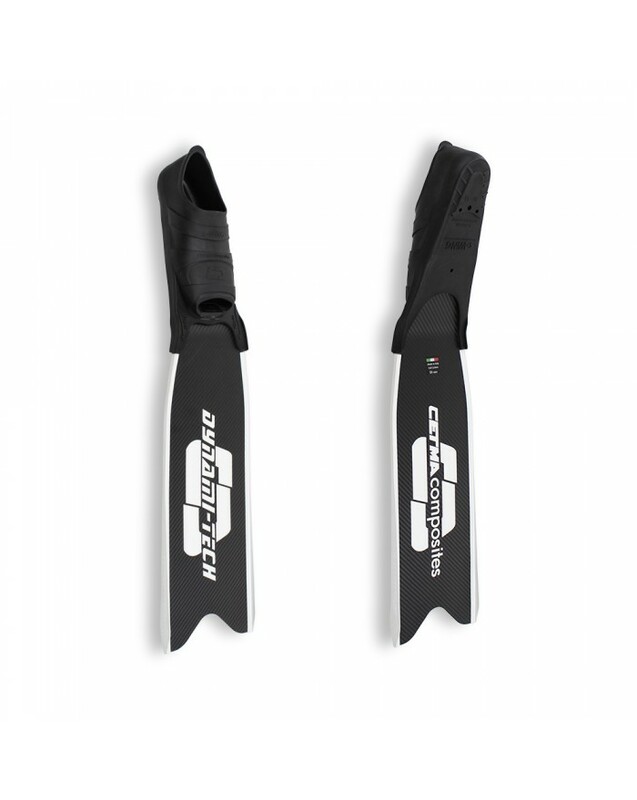 Through the engineering design, it has been able to distribute the stiffness and mass of the blade progressively thus obtaining a light and powerful blade. The final feedback of the user is therefore a very low effort corresponding to an incredible propulsion. This study is done using feedback from athletes who are involved in indoor disciplines for which power and instantaneous acceleration is required. Particularly effective in the push and slide technique for dynamics DYN. 7) Dimensions Dynami-tech: Width 170 mm, Length from the bending angle 500 mm, bending angle 28 degrees; Dimensions Dynami-tech L: Width 185 mm, Length from the bending angle 650 mm, bending angle 25 degrees. 8) Available stiffness: unique universal stiffeness. 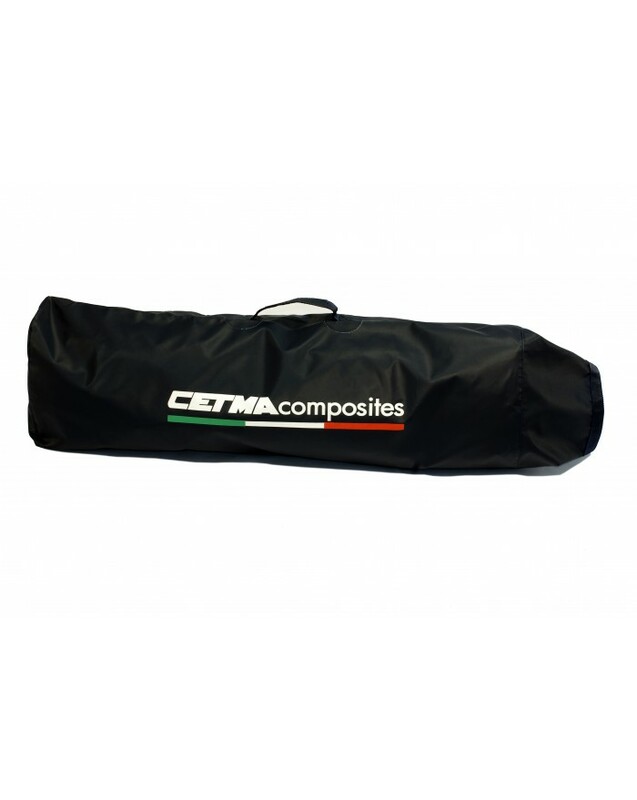 10) Footpocket fitting: CETMA COMPOSITES S-WiNG. 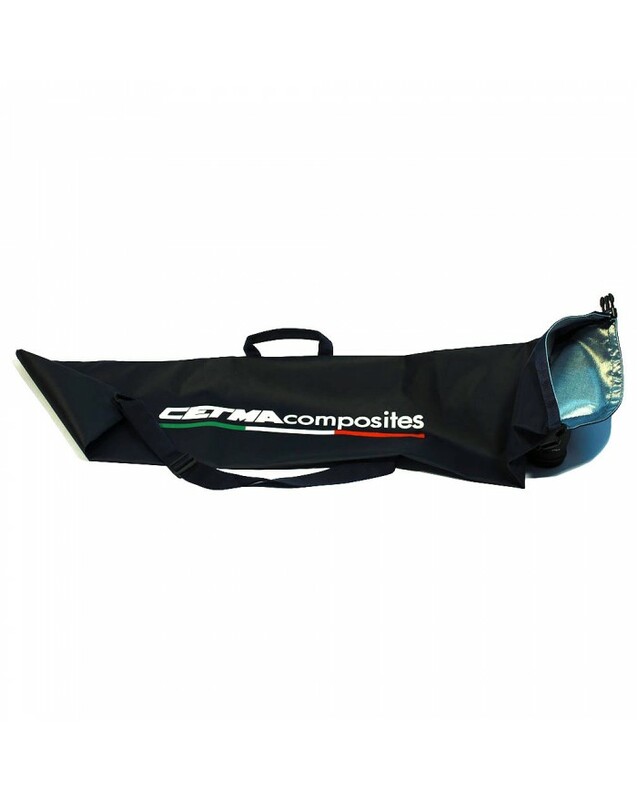 11) Water rail: CETMA COMPOSITES Water rails with variable height and high efficiency. 12) Warranty: 2 years on footpockets; 5 years on carbon parts ( Find out more ). 13) Prizes and awards: Indoor Italian Champion 2017, 200 meters DYN bifins first time used by Antonio Mogavero. Salve, è difficile fare un confronto con gli altri nostri prodotti. E' una pala reattiva, ma la lunghezza ridotta da un buon feeling in termini di rigidezza. Salve nel suo caso data la corporatura suggeriamo la versione L. La misura 41-42 dovrebbe andare bene.